The Electro-Voice EKX-18SP powered subwoofer is part of EV's EKX series, which combines legendary EV sound quality and reliability with the latest technology -- all in a compact package suitable for a wide range of sound reinforcement scenarios, including musicians/DJs and live/club/installed sound applications. 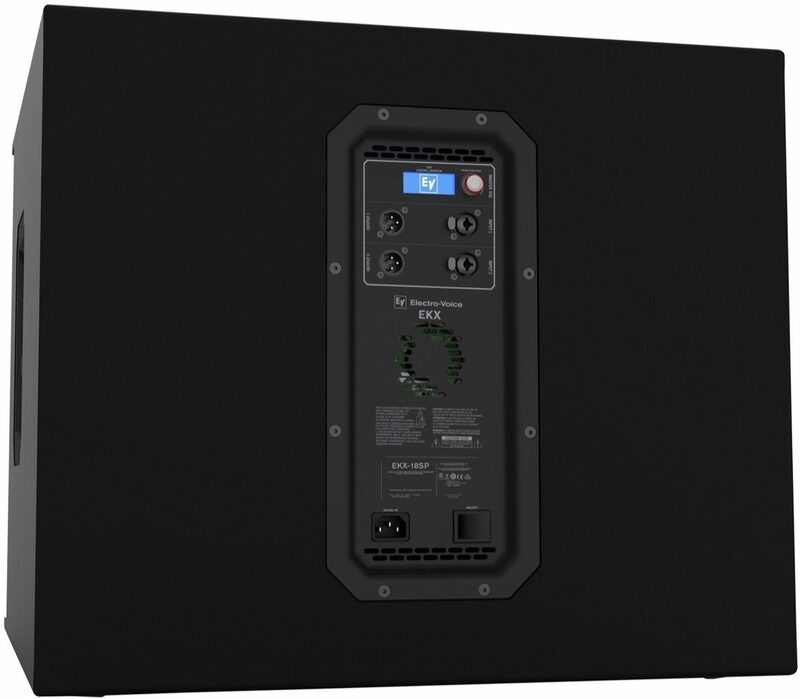 EV-engineered components, Signal Synchronized Transducers(TM) (SST) waveguide design, and Class D amplifiers (up to 1500 W) coupled with QuickSmartDSP all work together to provide precise coverage and superior sound quality at high SPLs. 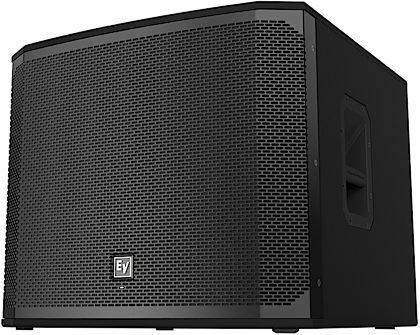 EV's award-winning industrial design -- with robust wood enclosures and durable EVCoat finish -- ensures that EKX speakers look as great as they sound. - QuickSmartDSP features best-in-class processing, EV's signature single-knob user interface, and intuitive menu navigation via LCD. 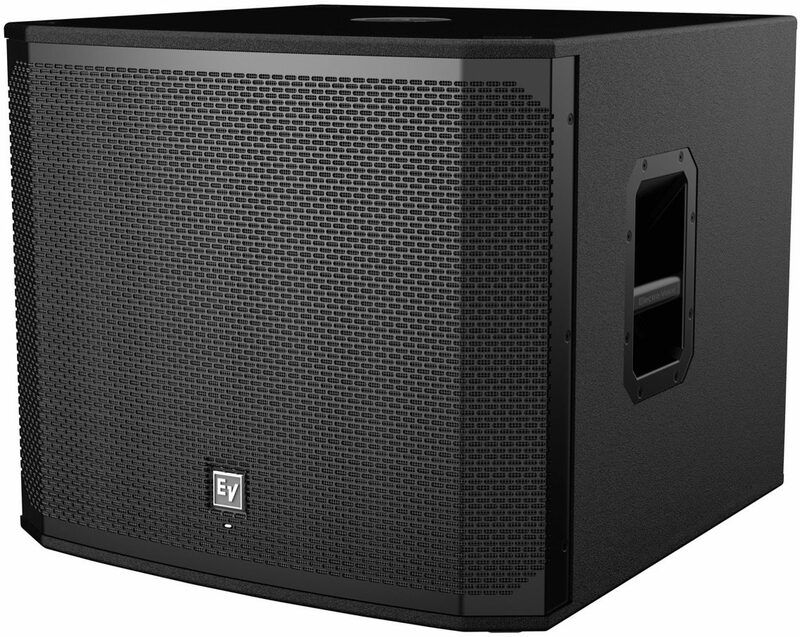 Adapted from our touring systems, EV's exclusive Cardioid Control Technology allows output to be steered towards the audience with up to 35 dB reduction on stage when multiple subs are deployed. Easy setup via three presets(Music, Live, Club), sub/top system-match crossovers, five user-programmable presets (Store and Recall settings), visual monitoring of limiter status, input level meters, and master volume control to ensure optimal gain structure. 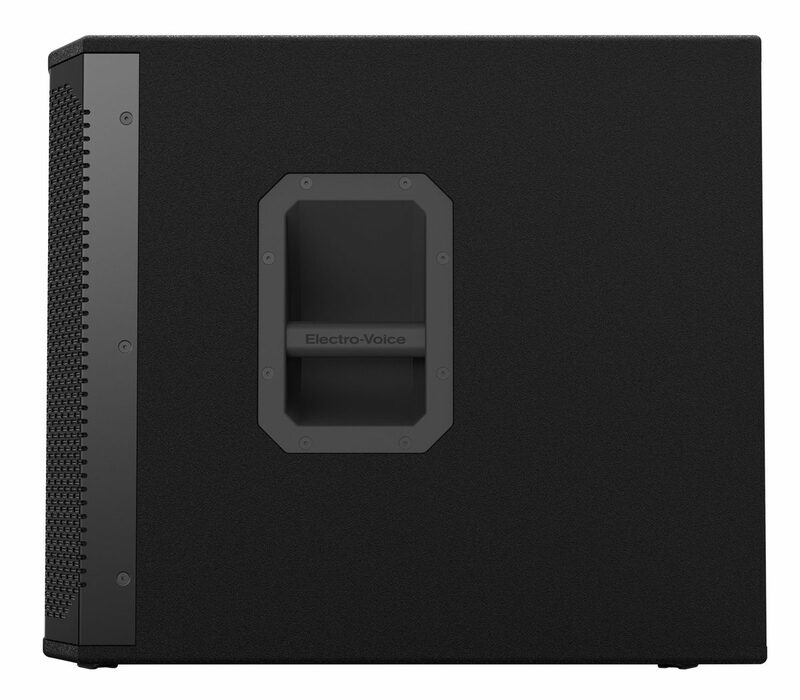 - High-efficiency 1300 W Class-D power amplifier delivers up to 134 dB peak SPL utilizing high-sensitivity transducers designed and engineered by EV (18-inch EVS-18C woofer) for maximum punch. - Intelligent thermal management with a variable-speed fan controlled by multiple onboard sensors. 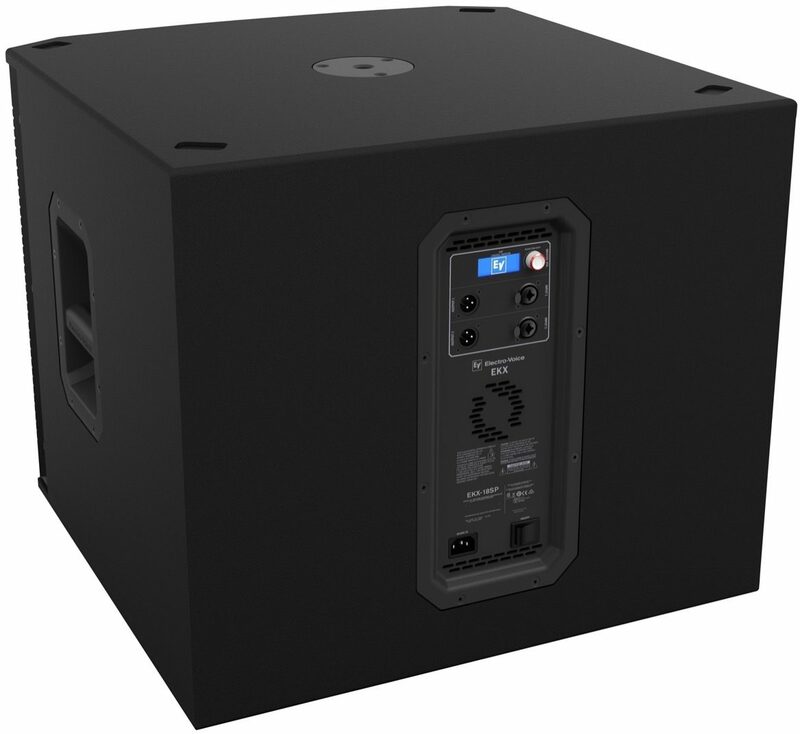 - Two XLR outputs for easy system expansion to additional loudspeakers or subwoofers. - Ideal for portable and installed applications. Lightweight, compact 15-mm wood enclosure with internal bracing, and durable EVCoat finish. Large slot ports for low distortion and excellent bass extension. Two metal grille reinforcement bars. M20 threaded pole mount plate. - Maximum SPL: 134 dB peak dB Maximum SPL is measured at 1 m using broadband pink noise at maximum output. 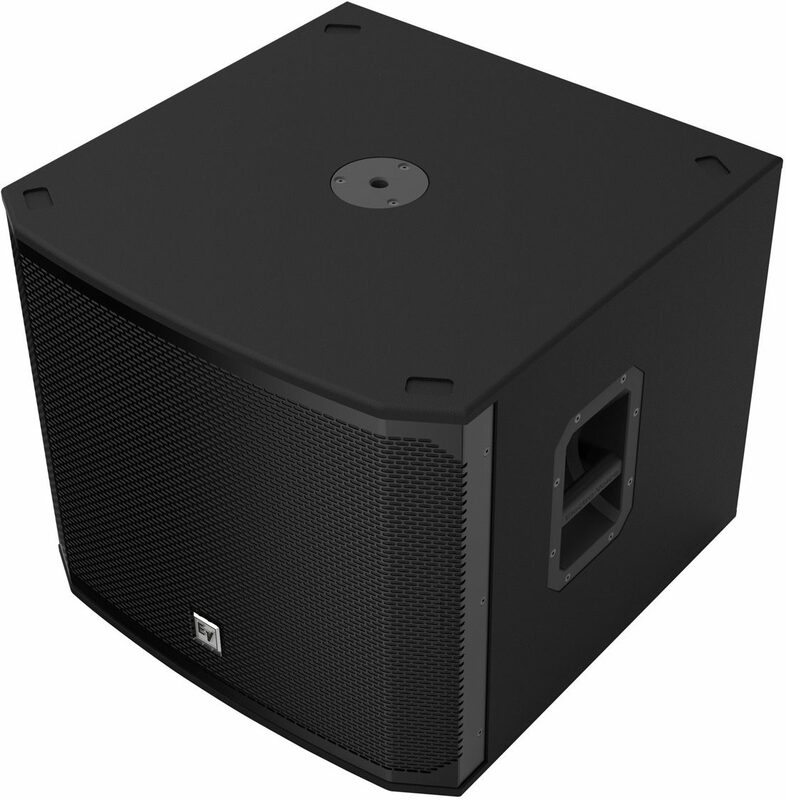 "EV - Powered 18" Subwoofer "
Overall: Was looking at the ETX 18sp, but was put off by the weight. The EKX 18sp is very manageable. I've pushed them pretty hard at a block party and they hit super hard and tight. No buyers remorse here when compared to the ETX. I can deal with a little bit less power in exchange for $500 less per, 40lbs lighter and the addition of fans. Would recommend these to any Pro DJ. Style of Music: Rock, hip-hop,country, blues, EDM. 52 of 53 people (98.11%) found this review helpful. Did you?